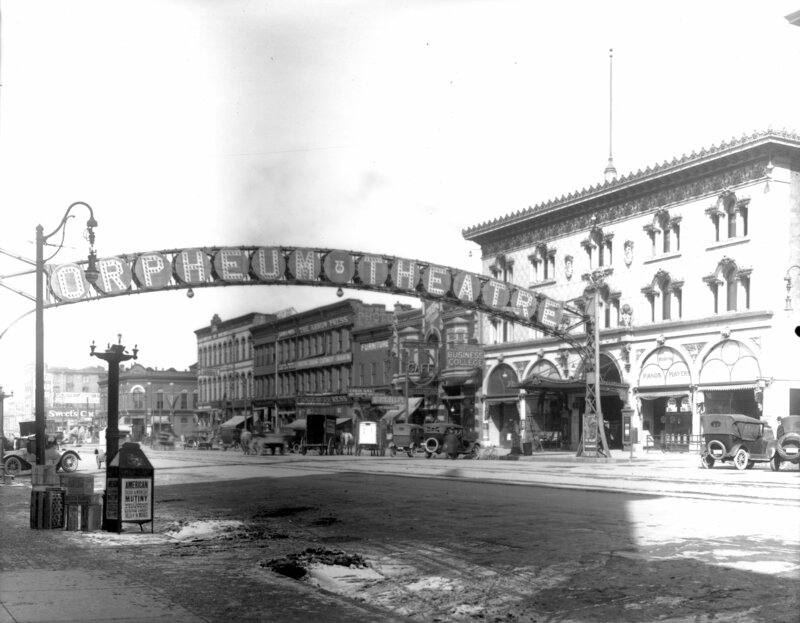 Description 22176 Orpheum Theater arch later the Capitol Theater. Glenn Brothers & Roberts Piano Co. 1917. Shipler. #18108 Became the "Capitol" in 1927.